New Website, New Additions ! We welcome the relaunch of our refurbished website with some great news to our #LemongrassLovers! 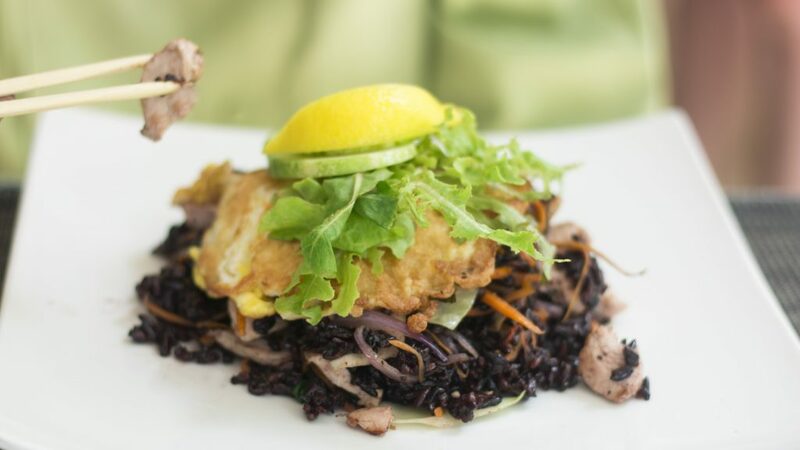 We have introduced Black Rice as one of the delicious options with your favourite thai dish. Swap out your noodles or your Jasmin Rice for this gluten free option. In ancient times, a prized possession and popularly known as the Forbidden rice or Emperor’s rice, the name of this rice is as interesting as its story. As the name implies, a proper permission from royal authorities was a mandate to consume this rice. Eating this rice without seeking permission had life threatening consequences. In China, black rice was exclusively used for the consumption of royal families, which is why it was also known as Emperor’s rice. Known popularily as a powerhouse of antioxidants, protein, iron, vitamins and minerals; This black rice / Dark Purple rice is loaded with enormous health benefits. The bran hull of black rice, which is the outermost layer of the rice grain, contains one of the highest levels of the antioxidant anthocyanin found in any known food. Studies have shown that black rice decreases dangerous atherosclerotic plaque formation in the arteries, which is very important for keeping arteries clear and preventing heart attacks and stroke. 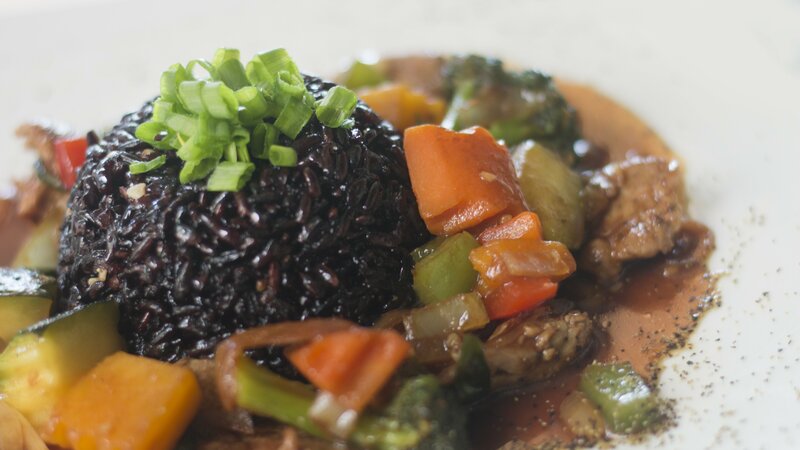 Studies have demonstrated that consuming black rice can help to detox the body and cleanse the liver of harmful toxic build-up thanks to the rice’s high antioxidant content. Black rice and other whole grain rice varieties- like wild, red, or brown rices- have a similar amount of fiber, with about 2-3 grams per half cup serving. The fiber in black rice helps to prevent constipation, bloating, and other unwanted digestive symptoms. Like other rice varieties, black rice naturally contains no gluten, the protein found in all wheat, rye, and barley products. It’s estimated that 1 in 7 people are sensitive to gluten- whether they are aware of it or not- but still test negative for Celiac Disease. Studies have shown that when it comes to the risk of developing diabetes and even obesity, consuming whole grains is much more beneficial and preventative than consuming refined carbohydrates (10).